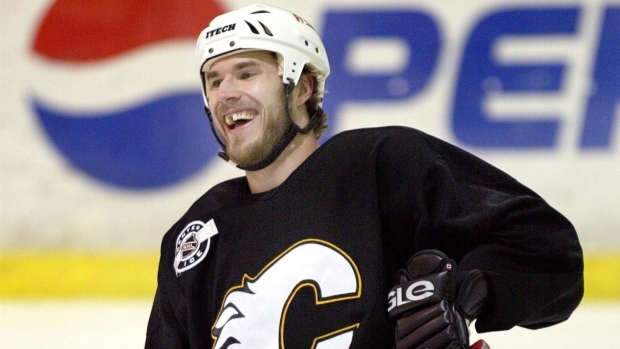 Steve Montador, the former Chicago Blackhawks defenceman and expectant father who was found dead in his home on Sunday, was a plaintiff in the concussion case against the NHL, TSN has confirmed. Police have said they do not consider Montador's death suspicious and it's unclear whether the cause of his death will be publicly disclosed unless his family decides to reveal details. Autopsy reports in Canada tend to be covered by privacy laws, and wouldn't be disclosed to the public unless it can be established that their release would serve the public interest. The 35-year-old Montador was suing the NHL three years after he last played in the NHL. He suffered a season-ending concussion during the 2011-12 season while playing for Chicago. Montador was plagued by concussions through his hockey career and after last playing in the NHL spoke frankly about the injury and subsequent depression. He played 571 NHL games with six teams, scoring 33 goals, 98 assists and had 801 penalty minutes over 14 NHL seasons. He was a key member of the NHL Players Association's bargaining committee in 2012. Montador's family will be able to pursue his claim against the NHL on behalf of his estate, his lawyer Bill Gibbs told TSN. "Steve was still struggling with the aftermath of a lot of post-concussive symptoms and I think he was very concerned about what may lie around the corner as he aged and the concussions caught up with him," Gibbs said in an interview. "He was a guy who really cared about his brothers, the guys he played with, and I don't use that term loosely. I think he felt strongly that it was important for everybody to start advancing the conversation about what happens to guys after their hockey careers and what happens to their brains." Montador, who was expecting to become a father in about a month, was among more than 200 players who are said to be involved in litigation against the NHL relating to concussions. Montador joined the lawsuit about a month ago, said Gibbs, who also is representing the family of Derek Boogaard. Boogaard, who was recovering from a concussion, died of an accidental overdose in May 2011. His family has filed a wrongful-death lawsuit against the NHL, blaming the league for brain damage Boogaard suffered playing the game and for his addiction to prescription painkillers. The NHL has claimed in legal pleadings that former players who are suing the league over how it handled concussions and head trauma injuries ought to have been able to "put two and two together," thanks to newspaper and magazine stories and other news reports. Lawyers for players including Joe Murphy, Bernie Nichols and Gary Leeman rubbish the NHL's claims, saying players had "no knowledge of the medical literature, and no understanding of any need to go find it because they relied on the NHL for information about player health and safety." The players, whose claims have not been proven, allege that the NHL did not do enough to protect them from head injuries before it created a committee to study head trauma in 1997. Even after that, the players charge the committee's findings were not adequately shared with players. A Minnesota judge is in the midst of deciding whether to allow the former players to pursue their claim in court, or whether it should be decided at arbitration.